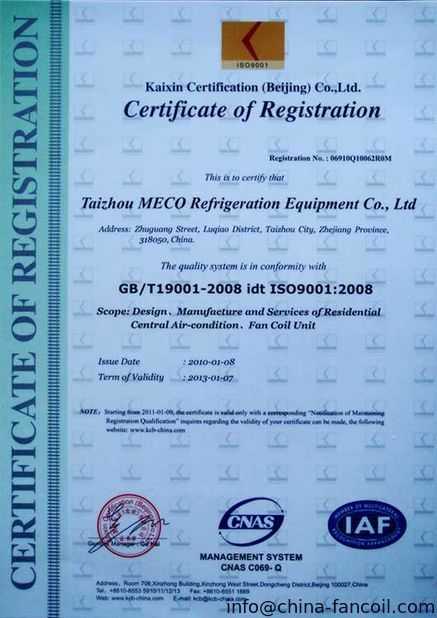 Established in 1998,Taizhou MECO Refrigeration Equipment Co., Ltd is a manufacturer which has comprehensive competitiveness in the technology、producing and services of commercial air conditioner. MECO is located in Taizhou City, Zhejiang,China, with about 10,000 square meters plant. We have 3 sets of automatic air conditioning assembly lines, matched high-performance enthalpy difference test lab, water-cooled performance test station, air-conditioning inspection and other testing equipments, and also 70 sets of accessory machining equipments. Our main products include FAN COIL UNIT (1-way,4-way,8-way water cassette, high wall mounted FCU, high static pressure ducted FCU,uceiling floor FCU,niversal FCU etc. ), Unitary system air conditioner (split cassette , High/Medium/Low static pressure duct , ceiling floor etc. ), Multi type DX system(cassette , ceiling concealed etc. ), which can meet the various market demand. The company focuses on the R&D and manufacturing of FCU product and light commercial air-conditioner .We are doing OEM for more than 70 famous central air conditioner enterprises in China, now the company is the prefered of OEM manufacturer for cassette units in China. At the same time, our products with MECO marks was sold successfully to more than 30 countries and regions,including the EU, South America,, Middle East, Southeast Asia etc . certification,continuous improvement and guarantee for products. FCU to CIS,European and North American countries. FCU products export to Middle-east, South America and Asia. Nowadays, we are doing our best to build a outstanding brand in China.We will keep focusing on the development strategy of “differences in development”, continue to adhering to the management concept of "keep improvement, innovation forever", and constantly reinforce the product quality, creating a new prospect. 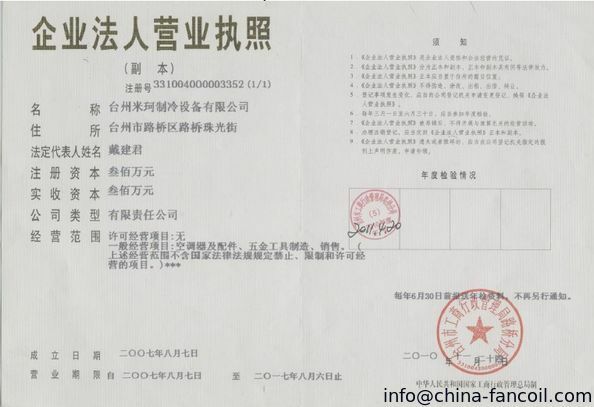 Nowadays, we are doing our best to build a outstanding brand in China.We will keep focusing on the development strategy of “differences in development”, continue to adhering to the management concept of "keep improvement, innovation forever", and constantly reinforce the product quality, creating a new prospect.Established in 1998,Taizhou MECO Refrigeration Equipment Co., Ltd is a manufacturer which has comprehensive competitiveness in the technology、producing and services of commercial air conditioner. 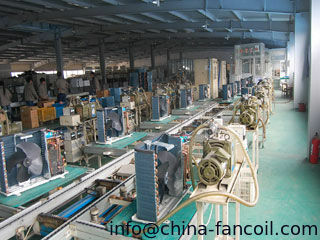 MECO is located in Taizhou City, Zhejiang,China, with about 10,000 square meters plant. We have 3 sets of automatic air conditioning assembly lines, matched high-performance enthalpy difference test lab, water-cooled performance test station, air-conditioning inspection and other testing equipments, and also 70 sets of accessory machining equipments. Our main products include FAN COIL UNIT (1-way,4-way,8-way water cassette, high wall mounted FCU, high static pressure ducted FCU,ceiling floor FCU,universal FCU etc. ), Unitary system air conditioner (split cassette , High/Medium/Low static pressure duct , ceiling floor etc. ), Multi type DX system(cassette , ceiling concealed etc. ), which can meet the various market demand. The company focuses on the R&D and manufacturing of FCU product and light commercial air-conditioner .We are doing OEM for more than 70 famous central air conditioner enterprises in China, now the company is the prefered of OEM manufacturer for cassette units in China. At the same time, our products with MECO marks was sold successfully to more than 30 countries and regions,including the EU, South America,, Middle East, Southeast Asia etc . 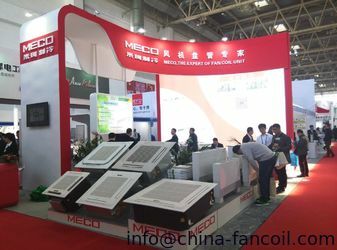 MECO was found in 1998, focusing on R&D and production of Fan coil units for domestic market only. 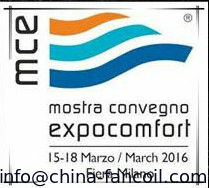 The company focuses on the R&D and manufacturing of FCU product and light commercial air-conditioner . now the company is the prefered of OEM manufacturer for cassette units in China. At the same time, our products with MECO marks was sold successfully to more than 30 countries and regions,including the EU, South America,, Middle East, Southeast Asia etc . 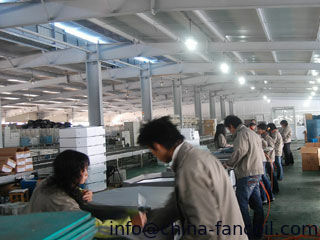 Production base in Taizhou, having R&D dept, quality control dept, and domestic sales dept. 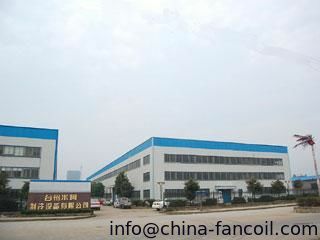 Export office located in Ningbo Yinzhou district, focusing on export of MECO fan coil units to the whole world.